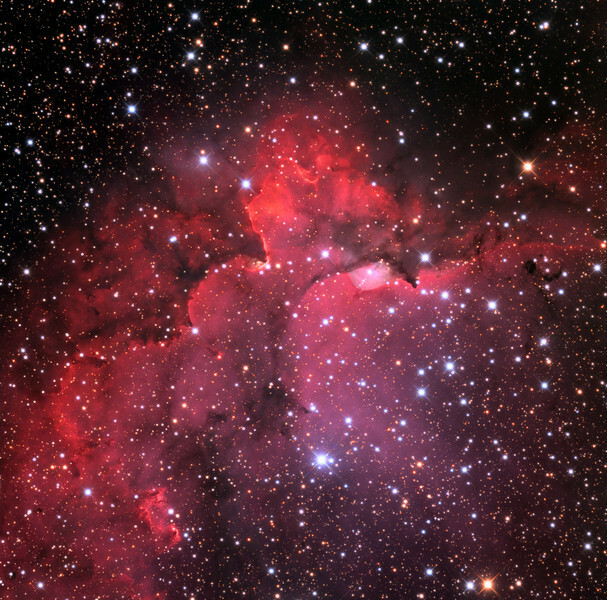 NGC7380 open star cluster and core of the Wizard nebula, also known as Sh2-142. 32 inch Schulman telescope with STX camera on Mt. Lemmon, AZ. Data capture and reduction by Adam Block, University of Arizona. LRGB processing by JDS using CCDStack and Photoshop CS6.